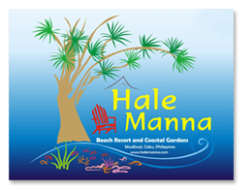 Hale Manna is a place for tranquil retreat where the magical effects of fresh air, sea, sun, sand and coastal gardens will serve as a perfect setting to balance one’s mind, body and spirit. It is envisioned to be a place for people who wish to connect with one’s inner harmony while being exposed to nature’s gifts from the sea – the vacation pleasures of swimming, kayaking, snorkeling, diving, star gazing, reading, sunbathing, beachcombing or simply just doing nothing. 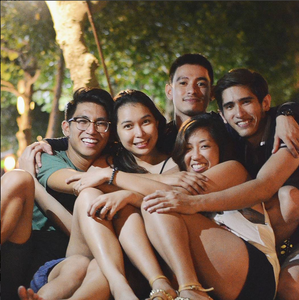 Photos courtesy of Dawn Ginete, Marasiaks, and chaimartinez on Instagram. 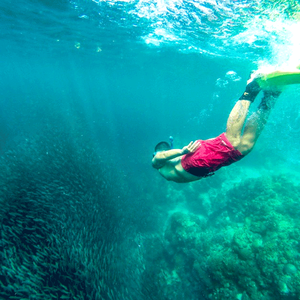 The house reef off Hale Manna is just excellent for snorkeling and shore diving. You may even encounter a resident turtle or two! See this video of an up close experience with a turtle: http://tinyurl.com/p9pv8c3. 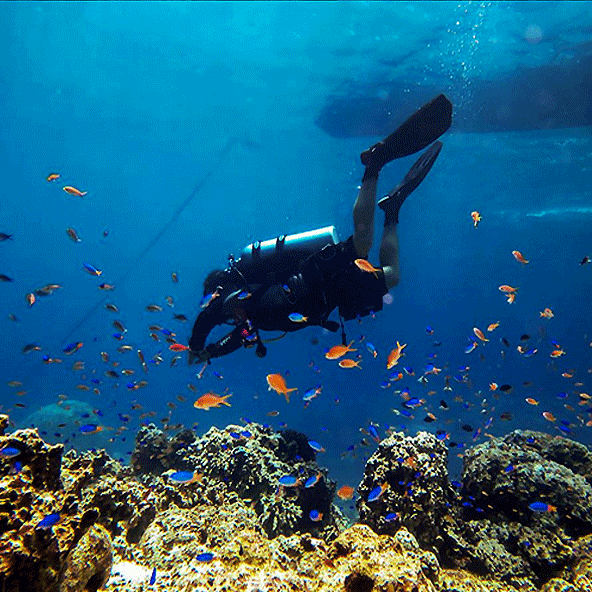 Scuba Diving rentals can be arranged upon request. We outsource this service to partner dive shops. Photo credit to dooxiexave on Instagram. 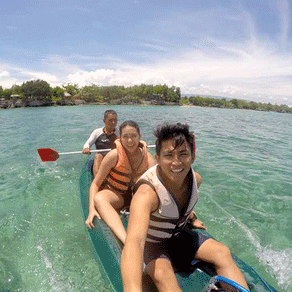 Explore the joy and thrill of kayaking whether its to our floating raft or to nearby mini islands. Our floating raft, situated just before the reef drop off, provides a safe place for guests to rest and anchor on while exploring our rich coastal gardens. Use of beach shoes, lifevests, and kayaks are free of charge for in house guests, assisted at all times by our Hale Manna staff/lifeguards. Snorkels and masks are available for rent. Photos courtesy of Francis Sollano and sarlai on Instagram. 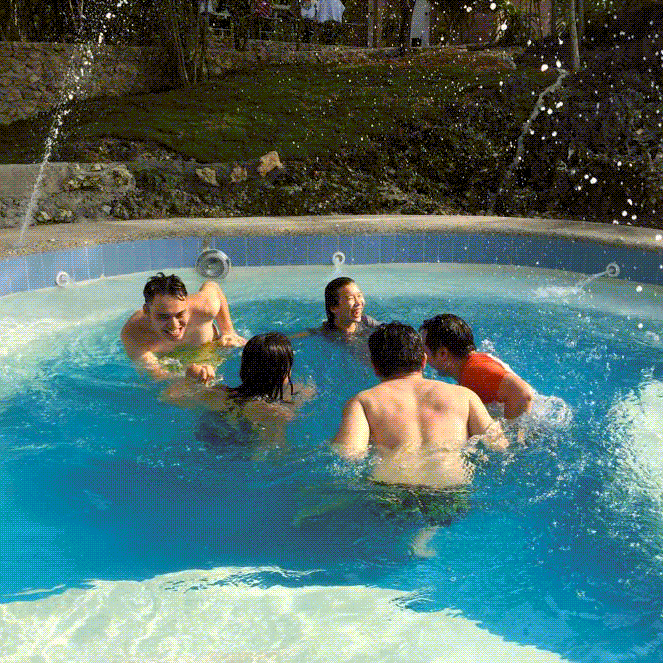 Our kiddie, adult, and jet pools filled with salt water not only provide you a cool and therapeutic experience, but also help support freshwater conservation in the time of El Niño. The art of doing nothing. Photos courtesy of kkaekkeus, gelabeansss, and karenannev on Instagram. 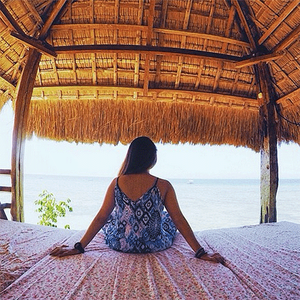 Whether its taking in the fresh sea breeze, meditating, hanging out with friends, or simply doing nothing, several open huts, hammocks, and lounging chairs around our coastal garden are available for you to choose from. Hale Manna is the perfect place to unplug and be peaceful. Happiness is sun, sand, and sea! Photo courtesy of Bea de la Vega. "Let them take care of your every need, from all inclusive or delectable a la carte meals to local attraction jaunts and all the details. Rooms are perfect for a romantic get away or a weekend with your extended family, or a reunion with your closest friends! 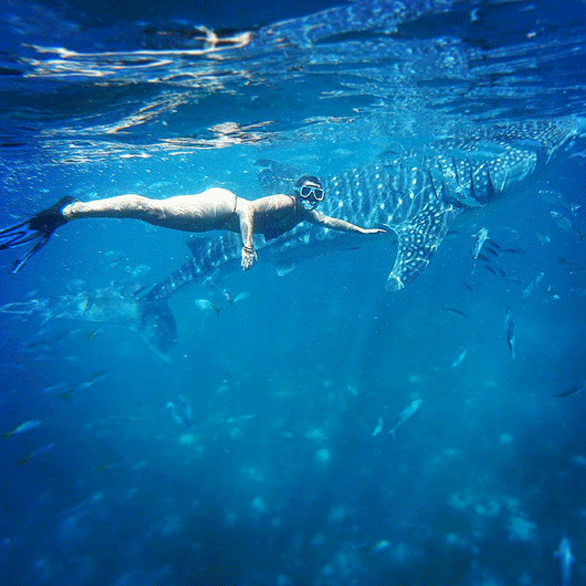 You must request for a double time massage in the evening under your favourite cabana, include swimming with the whale sharks in Oslob and visiting Kawasan Falls in your local area explorations (staff can arrange all of this for you, including your guides, rides, etc. ), and turn off your cellphone as often as possible to create the tranquility and inspirational joy you deserve!" 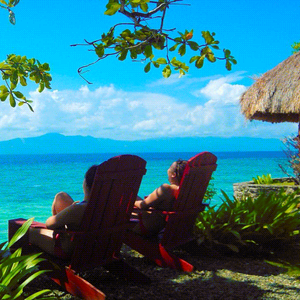 "Our first trip to the Philippines was fantastic, my husband and I couldn't have asked for a better place to stay! We loved the beautiful gardens, gorgeous views, fun pool, fantastic staff and delicious food! We met our group of about 30 who came from all over the world, literally! When we showed up in a caravan of vans they greeted us with cool towels, yummy pizza, cool drinks and snacks. The staff was fantastic, they unloaded our luggage and had our rooms very cool and ready for us. I'd go back in a heart beat! If you're looking to unplug and enjoy God's beautiful creation with family or friends, this is the place!" 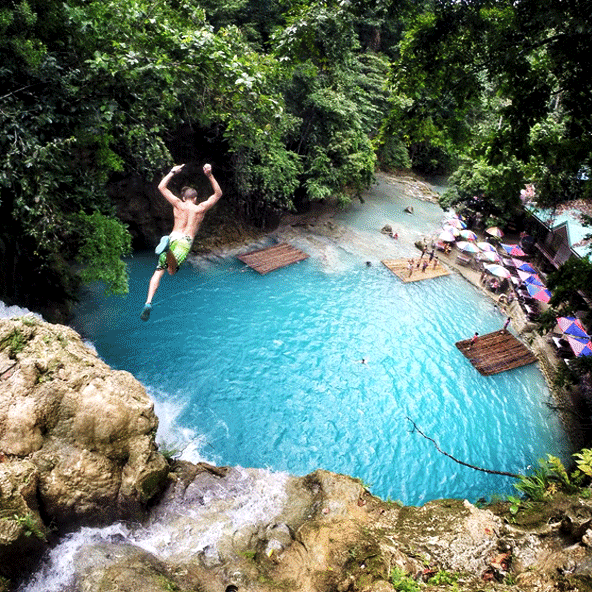 If you're planning to experience the thrill Southern Cebu has to offer, consider making Hale Manna your jump off point. Nothing beats coming home to a warm bath and comfy bed after a long day of fun and memorable activities with our partners. Photos courtesy of andydelicious, ella_kamesar, and rejeru on Instagram. 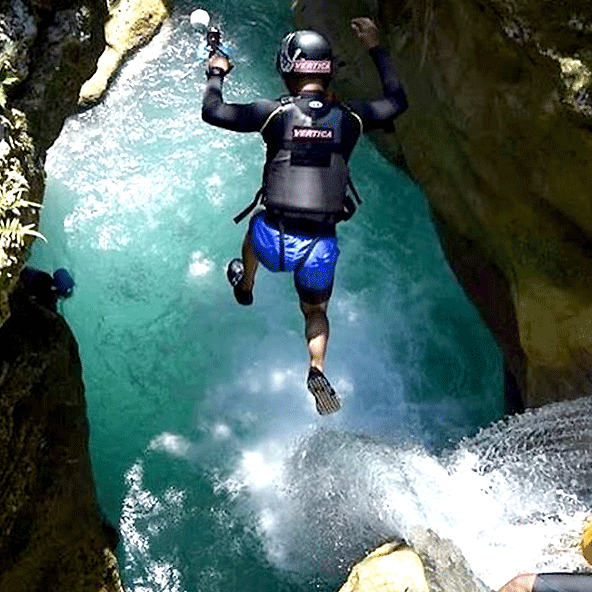 Canyoneering along Kanlaob River in Alegria is a great activity for team-building or getting back in touch with nature. The route is filled with challenging jumps and beautiful scenes! 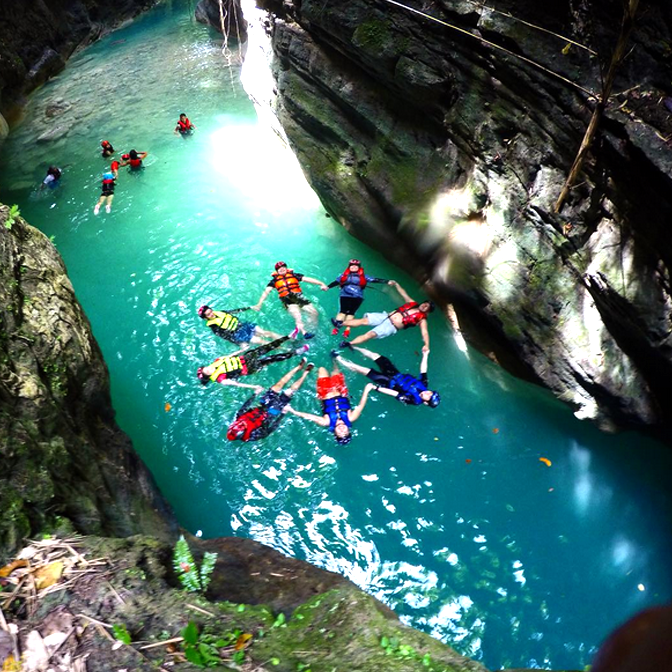 We can arrange this whole day activity for our guests through our partner, Cyan Adventures. Photos courtesy of jogal143, akositikla, and timorphium on Instagram. 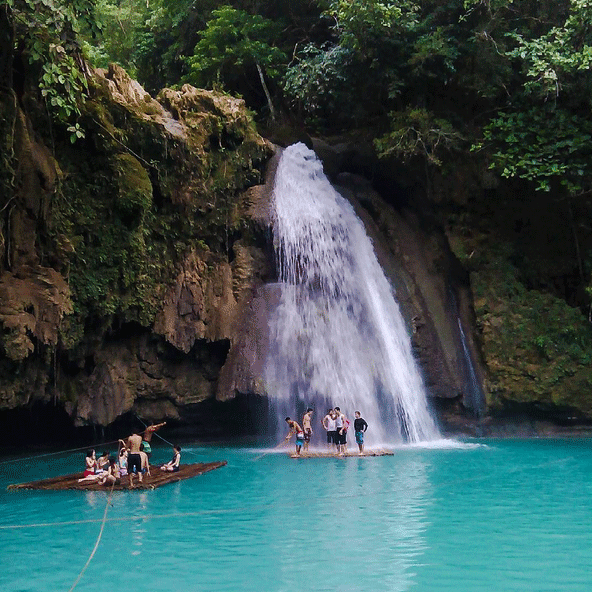 Kawasan Falls in Badian is just one of several waterfalls you can get to in the southwest part of Cebu. 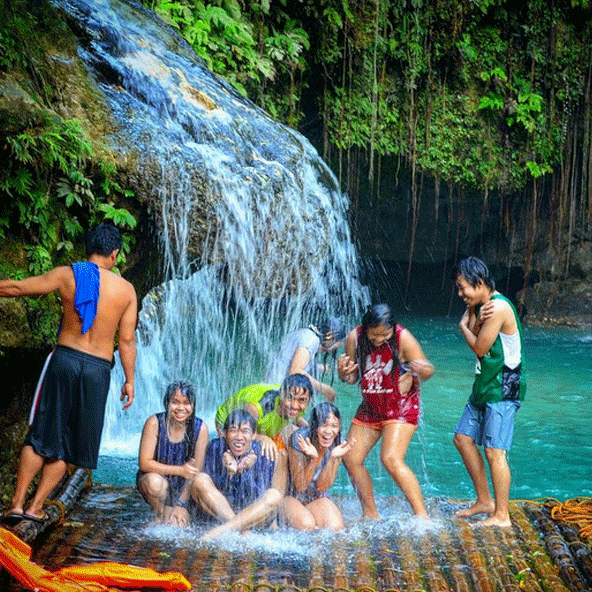 Also check out Tumalog Falls in Oslob, Aguinid Falls in Samboan, Mantayupan Falls in Barili, and the waterfalls of Malabuyoc and Ginatilan. Photos courtesy of Miked's Travel, and bennybencolvin and arnelarquillano on Instagram. 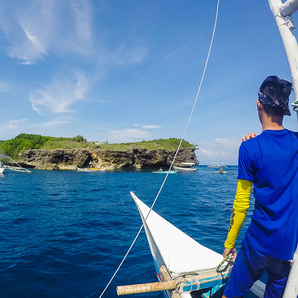 From Hale Manna, guests can take a boat to Pescador Island, Panagsama Beach for the sardine run, and Tongo & Tuble Marine Sanctuary for possible sighting of turtles. 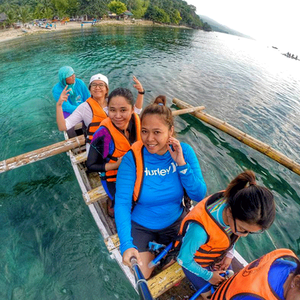 Boat rental fee can range from Php 2,500 to Php 3,500 depending on the size of a boat and number of people. Photos courtesy of theislandboyy, terrimammatt, and irinnadean on Instagram. 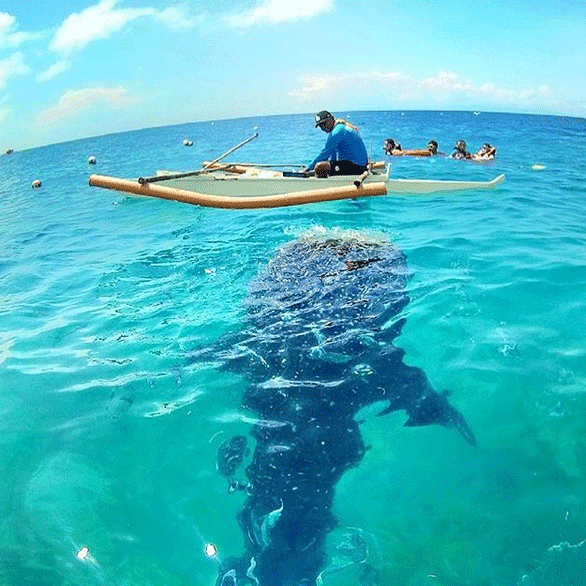 Swimming with the whale sharks in Oslob has become a popular activity for both locals and tourists. 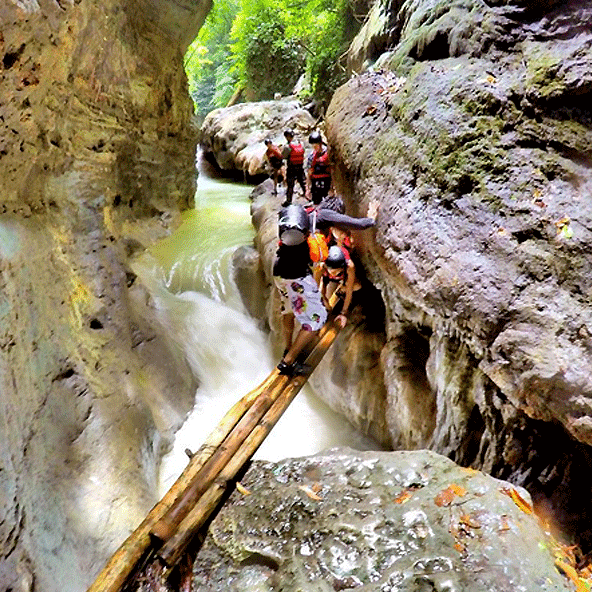 This attraction is located in Barangay Tan-awan on the southeastern town of Oslob. Just a few of the many activities you can do. 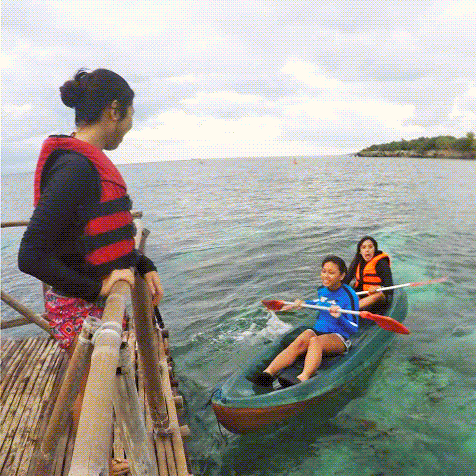 Indeed, it's more fun in Southwest Cebu! Video courtesy of Vea Novenario. "I would highly recommend this hotel - it is so peaceful, clean and friendly. The staff are incredible and they organised everything for us (snorkeling, whale sharks, hot springs, waterfalls). My friend thought I had taken her there to propose as she said it was the most romantic place she has ever been." "Our second day was the most memorable one. 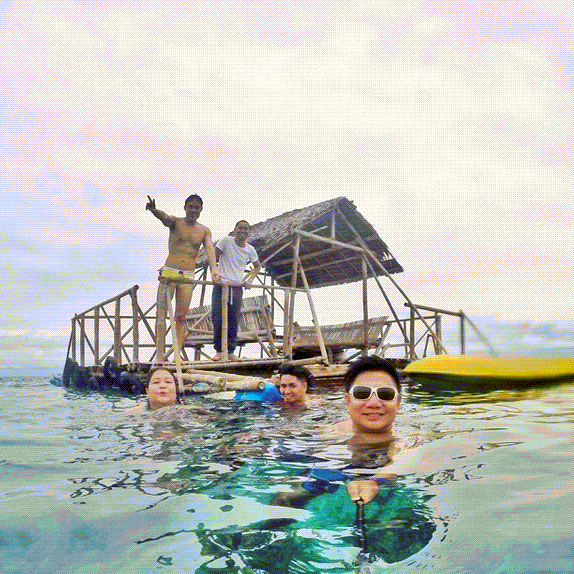 We went to Pescador Island for snorkeling and a sardines viewing trip. On our way to the island, we saw dolphins dancing and following our boat. They were beautiful! We also encountered a turtle on our way back to the hotel. 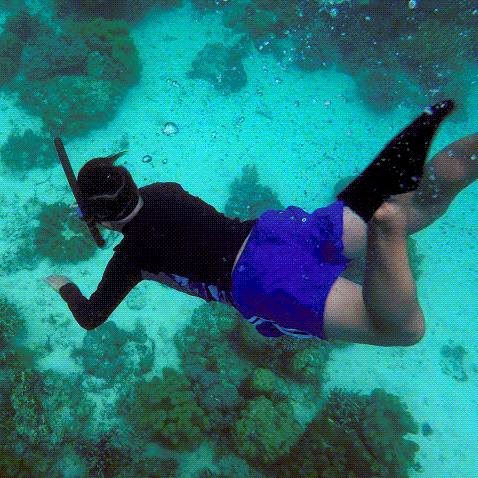 The guides are very friendly and will accompany you in your swim."